Do Your Children Really Need? 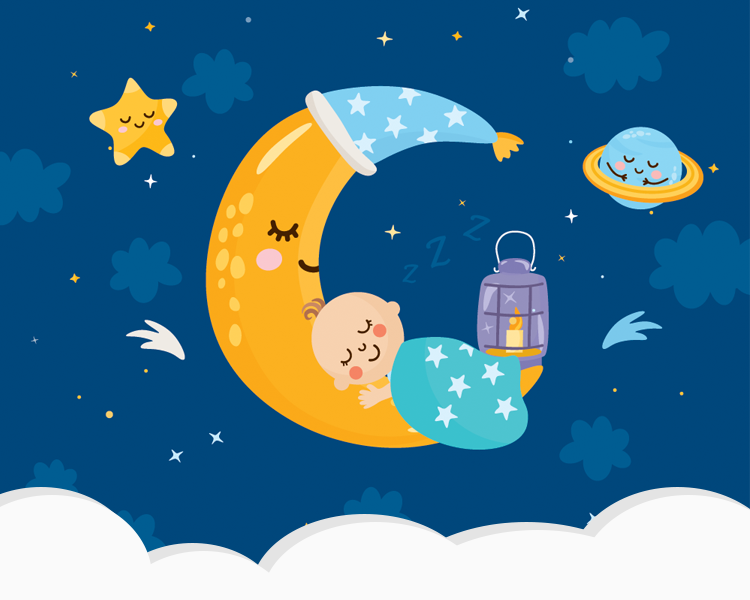 It’s been said that babies, children and teenagers need significantly more sleep than that of an average adult. Sleep promotes healthy mental and physical development and without the correct amount, you might find that problems start to arise. Children that miss as little as 60 minutes sleep per day may start to present various behavioural issues. As adults, when we get tired we feel ready for our beds, but over tiredness in children can actually have the opposite effect. Children can become restless and hyperactive as a result of missed sleep, so it’s often difficult to determine whether they’re not ready for bed, or if they’ve missed the mark! Of course, there are instances where poor sleeping routines are caused by an underlying medical issue or sleep disorder. Disorders such as sleep apnea and ADHD are two of the most common reasons in which children find it difficult to sleep throughout their early life. If you suspect that your child has one of these medical conditions, it’s best to speak to your GP or health visitor for advice and guidance. Inmost cases, though, sleep deprivation in children can be solved via the use of a solid evening and bedtime routine. Children thrive off routine, and if you can establish one that works well for you and your family, you’ll feel like you’ve hit the jackpot. A typical bedtime routine for most young children should consist of a wind-down period where screen time is kept to a minimum and is swapped with quiet activities such as reading. This should be followed with a reasonable bed time. Kids Funtime Beds are leading suppliers of high-quality kids bunk beds. Our selection of bunk beds are custom built and come in a range of sizes and designs to sleep up to 4 children! 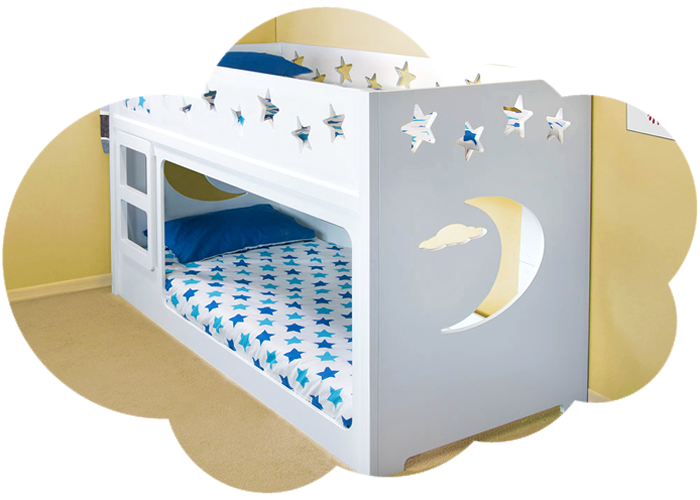 Choose from a range of shorty, high and mid-sleepers or go all out and try one of our castle beds or playhouse beds. All of our beds are available with optional extras including stair carpets and drawers. 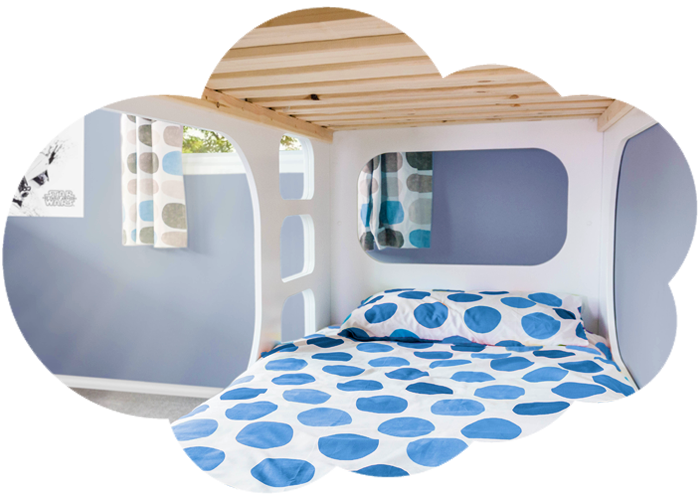 Whilst we can’t guarantee a full night’s sleep, we’re certain your child would love a Kids Funtime Bed!